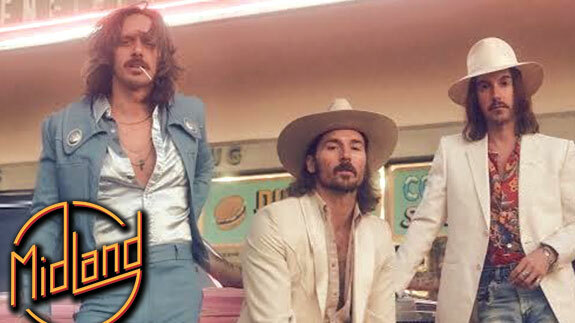 Hailing from Dripping Springs, TX lead vocalist, Mark Wystrach, fronts Midland’s rich sound that is rounded out with lead guitarist, Jess Carson, and bass player, Cameron Duddy. Rooted in tradition in both sound and style, the trio initially garnered attention playing clubs in the region. Their critically-acclaimed freshman album, ON THE ROCKS, earned the No. 1 position on Billboard’s Top Country Album upon release. Their debut No. 1 single “Drinkin’ Problem,” which offers an intentional nod to Country music reminiscent of the 1970s and 80s, earned the band their first GRAMMY® Awards nominations for Best Country Song and Best Country Duo/Group Performance. Their current single “Burn out” is Top 10 at Country Radio. Tickets go on sale Monday, April 15 at 9AM.